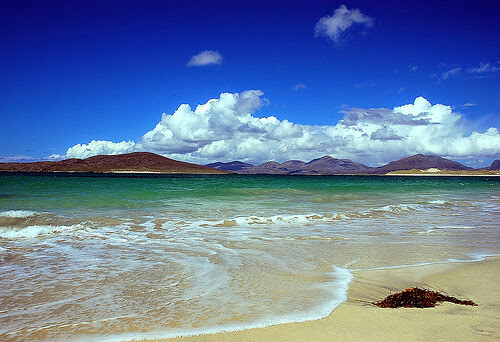 South Harris is a beautiful place with virgin white sandy beaches and unspoilt natural charm. The place though is less mountainous like Harris, but holds some stunning beaches which add more charm and liveliness to the area. 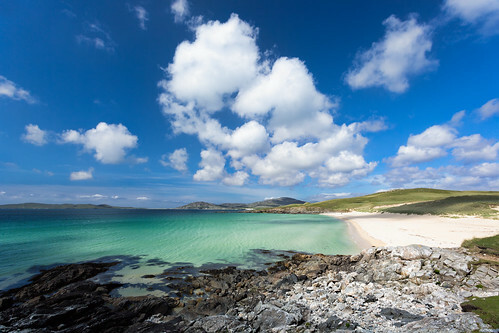 Among the beaches in South Harris, Luskentyre and Scarista are the ones which proudly stands as some of the most idyllic beaches in Scotland. The main settlement in the South Harris area is Rodel which is famous for the medieval Kirk of St. Clement, the most elaborate surviving medieval church in the Hebrides. From the recreational point of view, the Harris Golf club is an ideal place for enjoying a great day of golfing action amidst lush green surroundings. 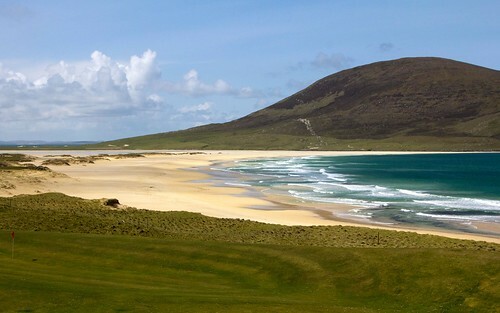 Meanwhile Scarista Beach has also been the favourite hangouts for surfing and kite buggying activities. 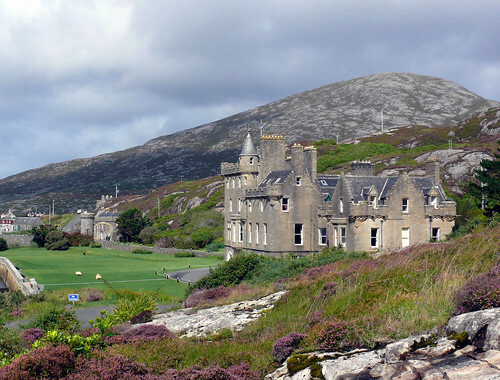 Bryce designed Baronial castle on Harris in remote location that is now a smart hotel. 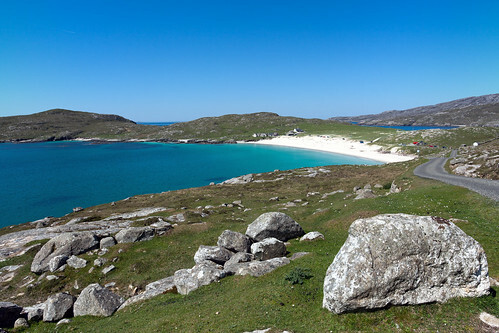 Remote beach on the West side of Harris protected by small peninsula. 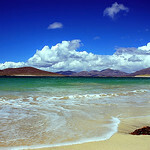 Top 10 UK Beach and at the end of a lovely drive to the far south of Harris. Well worth it in any weather! Scarista House (01859 550238) - 30 minutes from Tarbert and overlooking 3 miles of white sand beach, this windswept Georgian Manse (and the only listed building on Harris) has five bedrooms and throughout a very comfortable feeling with fires in grates, cats asleep on sofas and a large drawing room. The Martins are excellent cooks and offer wonderful local produce, perfectly cooked. Expect Harris langoustine, Lewis scallops and Minch shrimps. Leave room for breakfast – Inverawe kippers, Stornaway black pudding and homemade bread and jams. Doubles from £175.